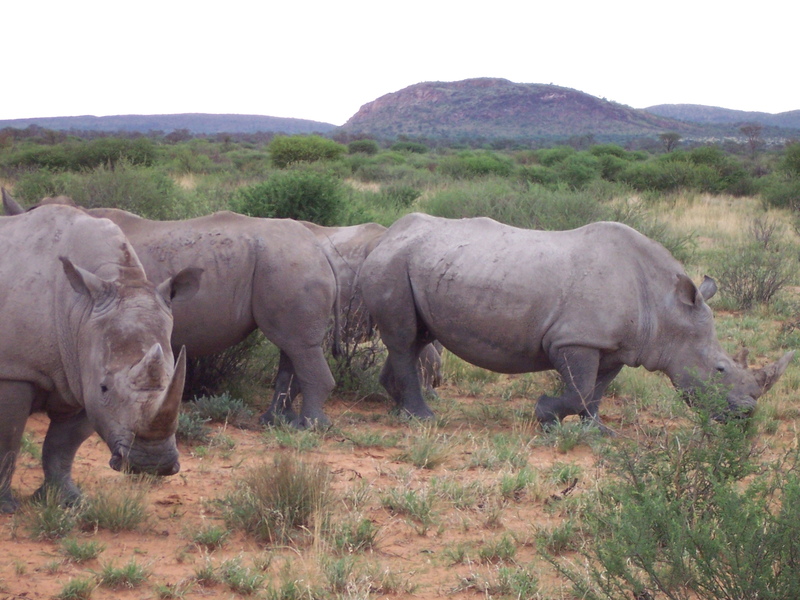 Okambara Game Ranch is located around 150 km east of Windhoek, the capital of Namibia. 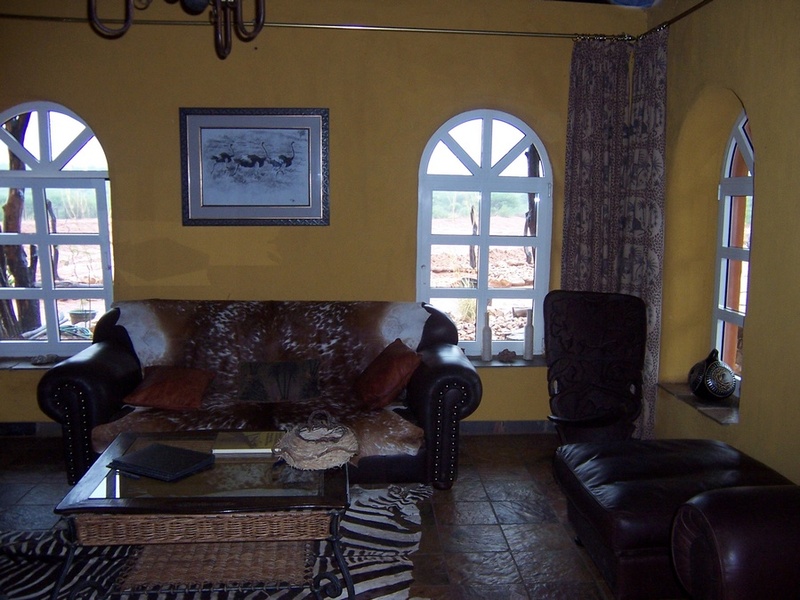 The Okambara Lodge is set around an hour east Windhoek’s international Airport in the middle of the Okambara Mountains, at an altitude of 1600 m above sea level. 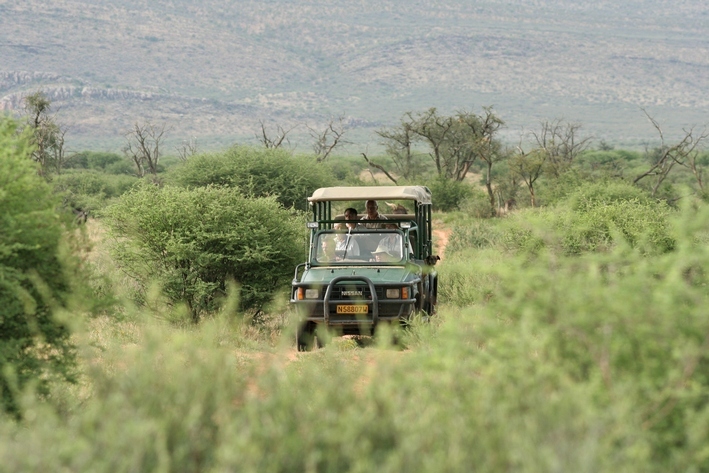 Okambara offers an adventure and luxury lodging on an exclusive game ranch in the middle of the Namibian bushveld. 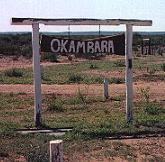 Okambara is located outside the malaria area and safe to visit even with a children. 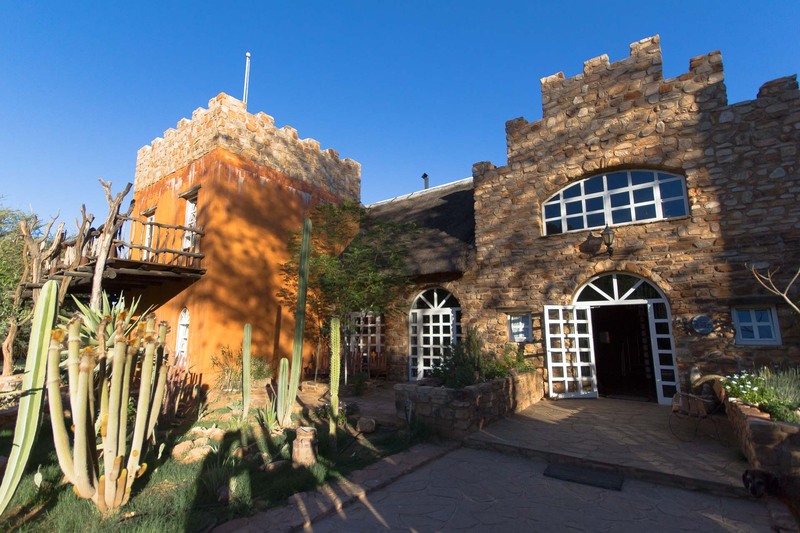 The lodge's main building impresses traveller with its four towers and reminds of the Victorian-style castle Namutoni (in Etosha National Park) from the outside, offering comfortable accommodation in Namibian country style inside. Okambara's daily meals are served in a tastefully decorated living room with a direct access to the terrace, where dinner is served in summer and on warm evenings. Okambara's barbecues are very popular, where delicious braai ("barbecue" in Afrikaans, grilled antelope meat) is prepared. Two bordering waterholes can be viewed from the terrace where kudu, impala, Oryx and more wildlife congregate for drinking. Okambara Elephant Lodge boasts a healthy population of elephants, rhinos, giraffes, hyenas, cheetahs, leopards, zebras, ostriches and various types of antelopes. An exclusive round trips, safaris are on offer to observe and photograph Okambara's game. A memorable experience for old and young awaits travellers at Okambara. There are either 3 family and 3 double rooms in the main house, 2 big chalets, as well as the mountain house, built above the pool, where a breathtaking view is offered. Staff can arrange a shuttle service to Windhoek International Airport. Rates are subject to change without prior notice should tax be increased or Government levies introduced. Rates include Value Added Tax.